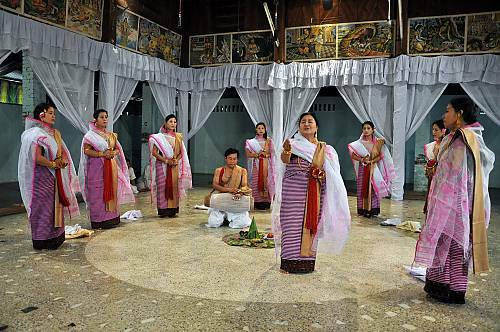 Sankirtana encompasses an array of arts performed to mark religious occasions and various stages in the life of the Vaishnava people of the Manipur plains. 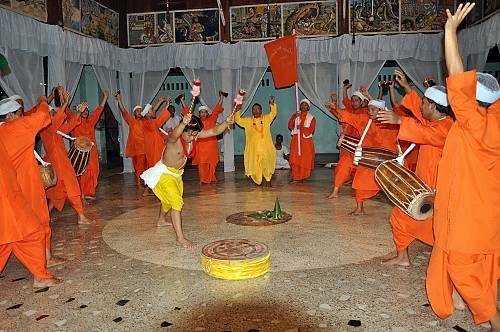 Sankirtana practices centre on the temple, where performers narrate the lives and deeds of Krishna through song and dance. 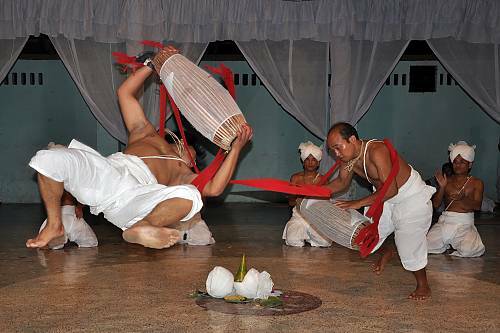 In a typical performance, two drummers and about ten singer-dancers perform in a hall or domestic courtyard encircled by seated devotees. 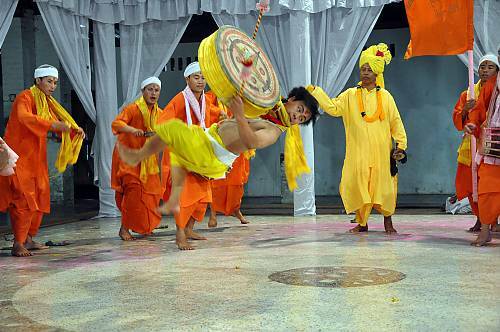 The dignity and flow of aesthetic and religious energy is unparalleled, moving audience members to tears and frequently to prostrate themselves before the performers. 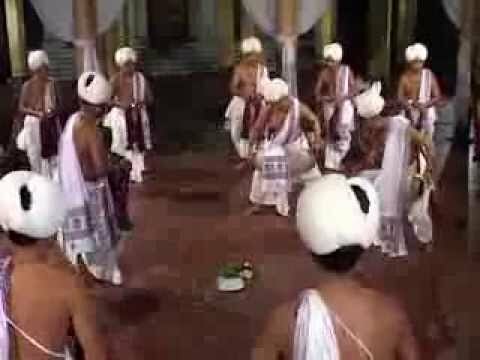 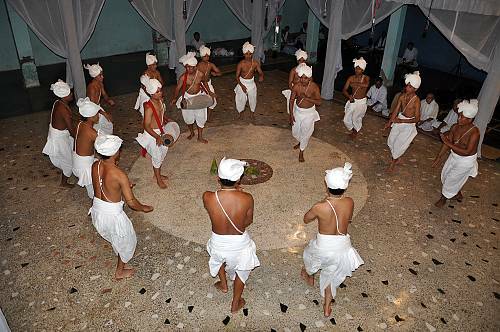 Sankirtana has two main social functions: it brings people together on festive occasions throughout the year, acting as a cohesive force within Manipur’s Vaishnava community; and it establishes and reinforces relationships between the individual and the community through life-cycle ceremonies. 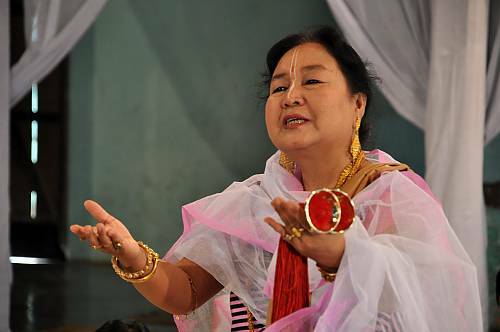 It is thus regarded as the visible manifestation of God. 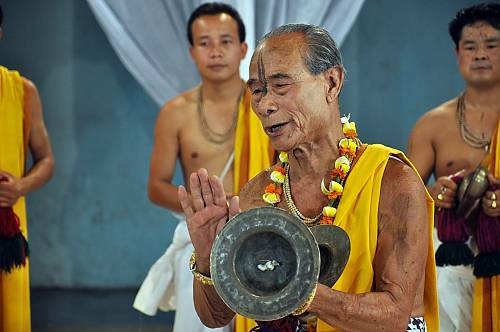 The Sankirtana of Manipur is a vibrant practice promoting an organic relationship with people: the whole society is involved in its safeguarding, with the specific knowledge and skills traditionally transmitted from mentor to disciple. 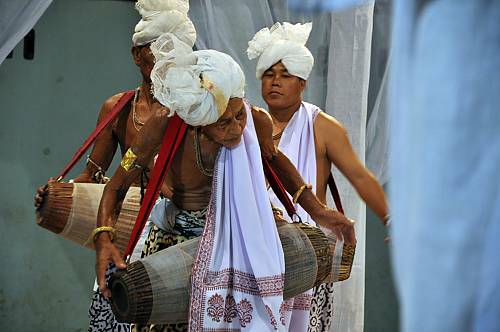 Sankirtana works in harmony with the natural world, whose presence is acknowledged through its many rituals.